A certified copy of articles is a “True” copy of the original document the state holds. There will most likely be a time where a certified copy is needed for personal records or to begin qualification in a new state. Many banks will also require a certified copy to process loans. We can quickly provide a certified copy of articles for documents including, Article of Incorporation/Organization, Annual Reports, Amendments, Foreign Authority, Reinstatement, Withdrawals and Dissolution. Speak with an expert today regarding certified copy of documents. A certified copy of articles considered a true copy of an original document. To be clear, certifying a document does not necessarily mean that the information is correct, just that is a true copy, implying that all of the information matches on both documents. As the state is the entity who holds onto the original copies of the business formation paperwork, we recommend that the business owner retains a certified copy of all important formation documents for accurate record keeping. Who Issues a Certified Copy of Articles? Certified copies of documents are valuable for many reasons. If you ever misplace or lose your original formation documents, you can request a certified copy of articles from the state. Having these documents will be necessary to continue to transact business. A certified copy of the above documents may be required if you are applying for foreign qualification to conduct business in another state than the one you are incorporated in, or even to renew business licenses that you already have. 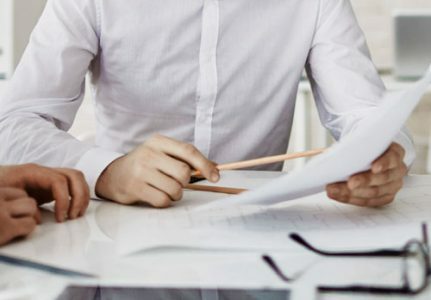 While the requirements will vary by state, and even by financial institution, many banks and lenders will require a certified copy of the Articles of Incorporation to set up a bank account or receive a business loan. Even potential investors or business partners may wish to see a certified copy of articles of your business documents before moving forward. At DoMyLLC, our simple, two-step process helps business leaders obtain certified copies of articles of incorporation without the hassle. Begin by placing an order on our website and let us guide you through the paperwork needed to complete the process. After a verification that all submitted documents are correct, simply sign the documents and our experienced team will handle the rest of the filing process. We will contact the relevant state agencies and government departments, obtain the certified copies and pay any applicable fees. Once we have the documents, we’ll send email copies as well as paper copies delivered quickly to you via FedEx. Make valuable use of your time focusing on building your business while DoMyLLC handles the details. Our experts are here to help you do business better. Request an online quote or place your order today. Companies can obtain certified copies of articles of incorporation and organization using our simple two-step process. Start by placing an order through our website; we guide you through providing any paperwork necessary to complete the filling process. Next, simply verify that all the submitted documents are correct and sign them. Our experienced team members handle the rest of the filing process. We contact the relevant state agencies and governmental departments to obtain certified copies and pay any applicable fees. As soon as we have certified copies of the documents you requested we email electronic copies and send paper copies directly to you via FedEx. This is a fast, convenient way of obtaining certified documents in much less time than it might take your team on their own. Our experts are at your service and are dedicated to helping you do business better. Place your order now to start the process of obtaining certified documents; you can also request a convenient quote online.